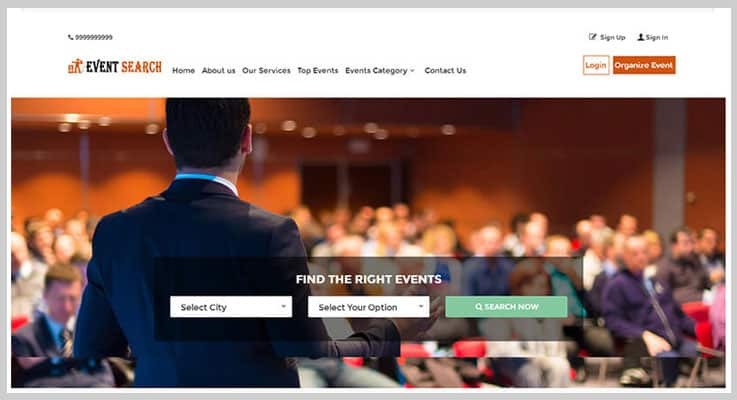 Event PHP script helps you to design and manage your event management sites. 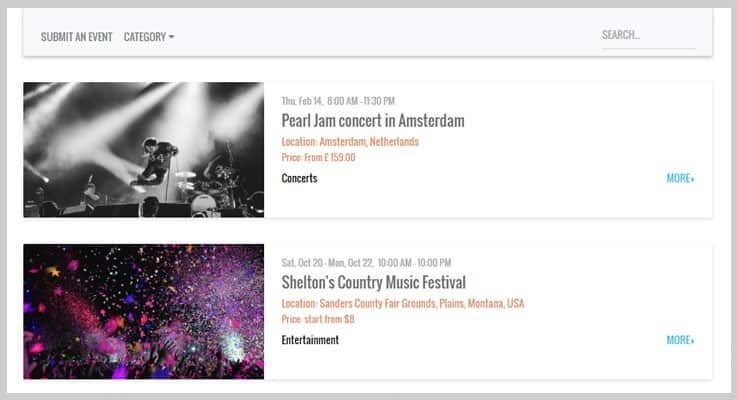 Also, it allows your visitors to simply register and list their events on your website. 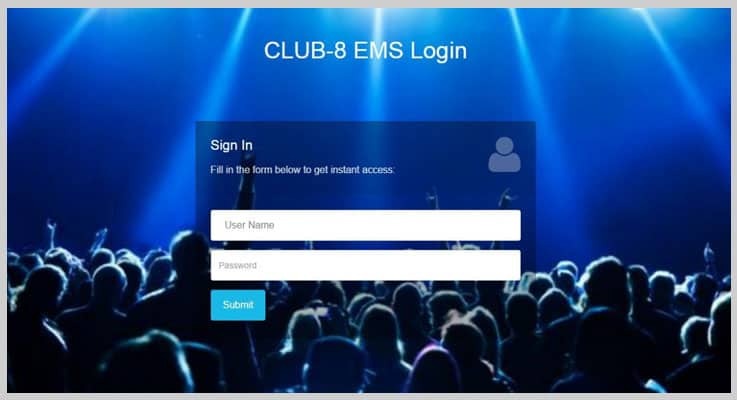 Online event ticket booking task has become easier for the visitors using these event PHP scripts. That’s why in this article, we have compiled a list of 5 best selling event PHP script. These scripts allow you to collect online payment for ticket sales with the help of payment gateways such as PayPal, Stripe and more. It provides the upcoming events details on your site along with event name, duration, location and more. The users can book their tickets after viewing all the services, the exact time and date of events on your web page. Using these scripts, you can display a timer on the homepage of your website which continuously shows you the remaining time for the event. The event PHP script comes with a useful admin panel where you can control or customize almost everything on your event management sites. Let us discuss each event PHP script in detail. 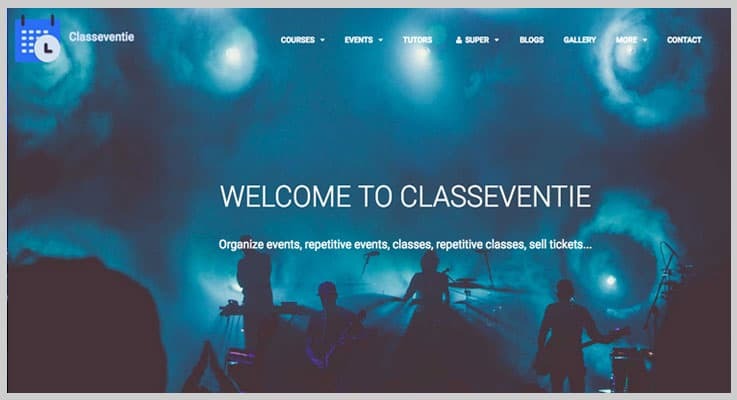 If you want to create online multi-purpose classes and events booking website then this PHP event script is made for you. You can manage all the events booking easily from the admin panel. Further, the script provides a beautiful frontend interface which comes with more than 20 multicolor themes. Your users can book the events and pay money online. As the script supports payment gateways like PayPal, Stripe and more. You can collect payment from users securely with the help of these payment gateways. You can manage courses, batches, events, tutors, and custom pages from the admin panel. Further, you can have full control of the website from editing to adding of events or tutors etc. The script allows you to permit your users to directly login from their Google & Facebook accounts. This helps to save the time of users as they don’t need to go through the long registration process. It allows you to add your various events and courses in the featured area on the homepage of your website. Here, there are options to apply now, and book now so, your visitors can enroll for the courses or book events instantly. With the help of this script, you can showcase a total number of courses, events, tutors, and more in the about us section. Further, in the upcoming event section, you can display all your upcoming events along with the title, date and time. Buy this event PHP script at $49 with 6 months support and regular updates. Further, the extended license will cost you $256 which offers you more advanced features and quality checked by Envato. This is one of the finest scripts in the event PHP script list as it is used to create or manage your event management business website. You can manage almost everything in the events like ticket booking for events, reporting, guest registration and more. It consists of a very useful admin panel where, in the event section, you can add, edit, or delete events according to your need. Also, the admin is allowed to generate, view and manage invoices in just a few clicks. It has a very sorted dashboard where, you can arrange all the event guest list in a systematic manner along with their name, contact number and more. In addition to this, you can manage their bill’s and tickets easily using this script. The script supports inbuilt easy campaign & invite system. Here you can send notification or messages via email and SMS from the admin panel itself. You can add various sales or event manager who organize various events. Further, you can manage all the event managers list and display their events on your website. Regular License – This plan available at $26 in which you will get free support, regular updates and more. Extended License – You can buy this plan at $130 with all the features of the regular license along with some enhanced features and future updates. This script helps you to manage various events and you can showcase your upcoming events along with the timer on the homepage of your website. You can display images of your events in the beautiful gallery section of your website. Moreover, the admin has full control over the events management, they can edit, add or remove the events according to their choice. You can get a complete report of last 7 days event booking easily with the help of on scroll detailing system in the admin panel. In the admin panel, there is an event booking section. Here, the website owner is allowed to view all the details about the client’s booking. Some of the details are the name of users, their contact number, how many seats users want to book, events date, and more. The admin can manage a total number of users, sermons programme, events, booking and a lot more from the admin panel provided by this events PHP script. There is an event management section in the backend. Here admin can manage events by arranging their name, duration, date, the total number of seats, media, comments and a lot more within no time. You can buy this event PHP script at a reasonable price of $35 with quality checked by Envato. Also, you will get future updates and 6 months support. The extended license is available at $65 where you will get all the features present in the regular license as well as some advanced features. Applying this event PHP script in your website will add more functionalities in your web page. You will get password protected admin area, customize frontend and backend, multi-language support and more in your site. The noteworthy feature of this PHP event script is it give permission to both admin as well as visitors to add & submit their event in your site. It supports Google map integration so, users can view the event location in Google map instantly in few minutes. You can categorize the events on the basis of various forms such as concerts, entertainment and more according to your need. Further, it permits admin to order events in ascending or descending order on the basis of the event dates. There is an event search bar section from which your users can find the events instantly within no time. Also, you can enable or disable this feature according to your choice. The script provides various visual CSS options in the admin area. This helps in applying different color themes, fonts, styles for events on the homepage of your website. This event PHP script will cost you $29 in which you will get free support, regular updates, responsive frontend and a lot more. Using this event calendar PHP script, you can design an event booking website. It allows your customers to book events seats online within a few seconds. It supports advanced search filter options. Here, your users can search the events on the basis of the event duration dates, on the basis of event venues, events name and more. You can sell the event tickets online and collect money from users with the help of payment gateways like PayPal. The script supports Google AdSense so, the admin is allowed to add various ads and banners on their website homepage. You can categorize all the events and showcase them in the featured area on the homepage of your website. With the help of this script, your users can log in directly with the help of their social media accounts. 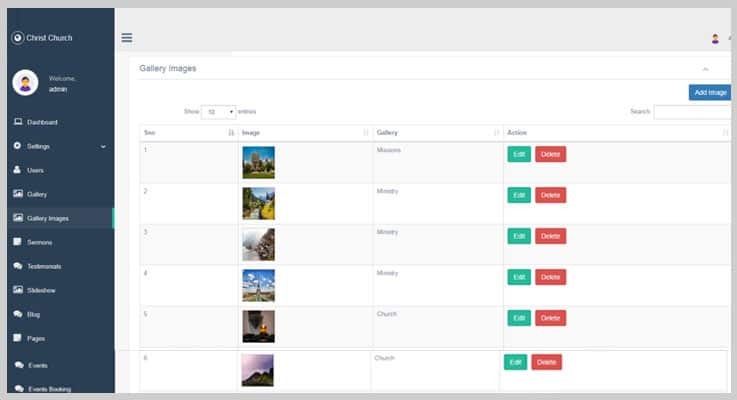 It supports social sharing so, you and your users can share your events photos and details on social networking sites. This event PHP script is available at a reasonable price of $99.09 with 6 months free regular updates along with 12 months technical support. As we have reached at the end of this article, we hope you have found the event PHP script according to your need. You can choose any of the above scripts, all the above-listed PHP scripts are best as per our knowledge. We have compiled these event PHP scripts after a long research and testing. The scripts allow you to try and test the features via free sign up provided using these scripts. We are ready to solve your queries, feel free to ask your doubts in the comment section below. Your valuable suggestions are most welcome, stay tuned for more updates.